If You’ve Never Had Your London Home Professionally Cleaned, You Don’t Know What You’re Missing! A professional home cleaning service London is not the expensive luxury that you might think. It is no longer true that every second household has a live-in maid – those days are long gone and are not likely to return, but the lifestyles of London’s families have gotten ever more complicated and busy. So who is left to clean the house when everyone is out running around doing the shopping, picking up the kids from school, running errands and working full work-weeks? In some households, the parents pick up the slack at the expense of their free time. In others, the cleaning simply doesn’t get done the way it should. But if either of these scenarios describes your home life, do not despair. There IS an affordable London cleaning company – London Cleaners. And by affordable, we really do mean affordable. Not only are our rates low and fair, priced so that most people can afford our services, but we are flexible as well. You can have us do as much or as little of the cleaning as you like, meaning that you pay for what you get and you’ll never get a surprise bill for a service you didn’t agree to. Our wide range of services allows our clients to customize their cleaning services according to the needs of the family. For example, if you have pets, you might need our sofa cleaning service more than a family without four-legged members. If you host a lot of parties, you might want to consider our London carpet cleaning as a way of keeping all those guests coming back to a sparkling clean home. As far as cleaners in London go, we simply can’t be beat. Call us now on 020 3397 6724 to find out about all our cleaning services and also to get a free estimate. Just spend a few minutes on the phone with one of our helpful representatives and you’ll walk away with all the information you need to make an informed decision about which of our services you will most benefit from. Do the carpets need a good cleaning after a winter of the windows being shuttered? Do the floors need a thorough cleaning after that last party you had? For every type of cleaning, we are the professional house cleaning London crew you will want on your side. Why You Should Choose Professional Cleaning Services in London? 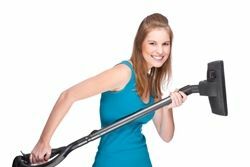 There are many instances when you might have wanted to have in a London cleaning team but thought it was too much of an investment. Such as, the last time you had someone in to look at that leaky pipe or when the painters left, leaving behind a thin film of paint dust everywhere. Not only are most people not equipped to take on these specific cleaning jobs, but they just don’t have the time. The next time you need a deep cleaning, a one off cleaning or an upholstery cleaning, don’t let it slip by and just ignore it, have the best London cleaners in to get the job done quickly and properly. We equip our teams of cleaning technicians with the best and newest equipment on the market. And they use only the best and gentlest cleaning products that won’t damage your furniture, your flooring, your upholstery or anything else. All you have to do is come home to a freshly cleaned house and thank yourself for making the phone call to 020 3397 6724. Have you ever thought about giving a one off cleaning as a gift to someone? Here are a few examples of situations in which it is entirely appropriate and would even be welcome to give the gift of a clean home to a friend or loved one. If a family you know is expecting a baby in the next few weeks, you can be sure that they would like the home as clean as possible for the new arrival. But with a due date looming, not everyone is able to really scrub and clean the way she would like. A couple-hour visit from one of our cleaning crews will give any expectant mother the pleasure of knowing that the new baby will be coming home to a clean home. What about giving a deep cleaning to someone who has just experienced a loss? It can be difficult to face the world when grieving and while having visitors might help that person begin healing, it can take a toll on the house. So give the gift of a one of cleaning of the home and take your friend or loved one out for a coffee. When he or she arrives home to a sparkling, spotless flat or house, their mood is sure to be lifted. Pre tenancy and post tenancy cleanings are also popular gifts for graduating students, who are sure to need these services, but who are least likely to be able to afford them. Surprise your favourite graduate with an afternoon out and one less thing on the to-do list. With so many ways to take advantage of our affordable and professional cleaning services, you’ll be thinking of when you can throw your next part just so you can have an excuse to have us back. You’ll find yourself giving away or throwing away your own cleaning equipment and declaring that it simply isn’t worth your time to do the cleaning anymore, not with a London cleaning service as good and affordable as ours – doing the cleaning yourself just doesn’t pay. Call London Cleaners today to receive a free quote and to find out how soon you can be freed from the burden of regularly cleaning your home. You’ll be happy you called 020 3397 6724 the moment you do. Try our carpet cleaning services, our deep cleaning services or just have us do the sofas; we are certain you won’t be disappointed, no matter which cleaning service you choose! Description: We have professional cleaners in London that provide cleaning services such as house and office cleaning, carpet and rug cleaning, end of tenancy cleaning, etc.